EaseUs Todo PCTrans is a PC transfer software specially developed for Microsoft Windows (XP to Windows 10). If you have recently bought a new computer then you may be willing to transfer program data, settings and personal files. You can easily transfer files from one place to another but what about the installed programs, settings and their stored data. EaseUs Todo PC Trans will do the job for you as it can migrate/transfer your installed programs as well as personal data from your older computer to your new computer. After transferring all the programs, settings and files you can use your new computer in the same way as the older one. Programs like Microsoft Office, Microsoft Visual Studio, Adobe Photoshop, iTunes, Autodesk Maya are large programs and they take a lot of time to install. So its not a wise decision to re-install them on your newer computer as it will waste a lot of time and you will lose all your software projects if you do not have a backup. But don’t worry with EaseUs Todo PCTrans PC Transfer Software you can migrate all these large program to your new system with all the program data and settings. 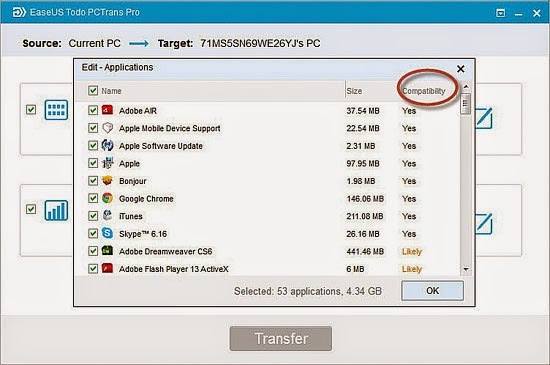 EaseUs ToDo PCTrans can be downloaded for free but the free version only allows us to transfer only two programs. To unlock the full potential of this PC Transfer Software you should buy the pro version. EaseUs products comes with a 30 days money back guarantee, if you do not like the software then you can get your money back within 30 days. A USB drive or an external hard drive for moving data. First of all download and install the EaseUs PCTrans software on both of your computers. If you want to buy the software then go here. I will tell the activation tutorial later in this post. There are two ways by which we can transfer program to new computer. First one is by using a LAN cable to connect the two computers for data migration, second one is by creating an image file of all the programs on old pc then restoring the programs on new computer via this image file. Connect the two computer by using the LAN cable. On both computers file sharing option should be enabled. You can read this brief tutorial about using LAN cable. Open EaseUs Todo PCTrans on both PCs. On Older computer select ‘Via network connection’. Enter the IP address of the destination computer by clicking the plus ‘+’ sign. In next step select the computer and click the ‘Connect’ button. See the image below showing the list of destination computers. Select the transfer location to ‘Current PC -> New PC’. Current PC is the older one. Now after connecting the computer you will see two options on the older computer, ‘Applications’ and ‘User Data’. Applications include all the programs currently installed on your older computer. Click the ‘Edit’ button to select which programs you want to transfer. By default all programs are selected. The ‘User Data’ incluses personal data stored on your computer’s hard drive, My Documents and desktop. However you can opt out this option if you want to backup/restore your files manually via an external hard drive. Now after selecting applications click the ‘Transfer’ button. Wait for few minutes till the transfer finishes. Open EaseUs Todo PCTrans on source and destination computers. On the source computer select ‘Via an image file’ then click ‘Create the image file’. Click the three dots on top right corner and select your storage location. It can be a USB drive or an external hard disk. Similarly click the ‘Edit’ button in front of applications and choose the programs that you want to include in the image file. Again you can skip the ‘User Data’ section. But I will suggest you to use this to transfer the ‘My Documents’ folder as it contains data of most application. Simply click the edit button and only select ‘My Documents’. After selecting the applications click ‘Save’. Wait for few minutes till the image is created. This image file has “.PCT” format. Now the image is ready to be restored on the new computer. You should first copy it your external hard drive or USB drive so that it can be transferred to the destination PC. Transfer the image file to destination PC from your USB drive. Open EaseUS Todo and click ‘Via an image file’. Select ‘Transfer from the image file’. Click the 3 dots on top right corner and locate the image file and select it. The data will be automatically loaded under ‘Applications’. Finally click ‘Transfer’. Your all programs, settings will be transferred to new computer without hassles. Note: You may need to re-activate MS office again on the new computer with license key. But if you have the FPP version license, you could make a copy of Office 2010/2013 to another computer without the key. FPP, OEM, MLK are three most common types of licenses for MS Office. FPP or Full Packaged Product covers the boxed, retail version, only FPP licenses can be transferred. After purchasing the product follow the steps below to activate your EaseUs Todo PCTrans. Run EaseUs PCTrans and click the arrow icon. Enter the license key that the EaseUs sent you by email. After entering the license key click ‘Upgrade’ to activate your product. Transfer applications, music, pictures, documents, etc. to new PC/OS. Can easily transfer all applications and user data from old computer to new computer. Alternative and better option to Windows Easy Transfer. 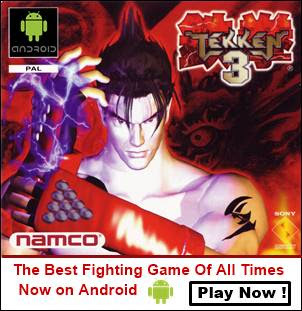 Can transfer programs between 32-bit and 64-bit systems. Fully supports all Microsoft Windows versions from XP to Windows 10. The pro product comes with a 30-day money back guarantee. 24x7 technical support and live chat support for premium users. Best tool for transferring applications that are registered and commercial in nature. I think I have covered the article in detail. EaseUs Todo PCTrans is the best, easy and handy tool for transferring programs and user data from a older windows computer to newer ones. The program is free to download but is limited to only 2 program transfer. The pro version works at its full potential and gives access to all the features and comes with a 30-day money back guarantee. If you still have any questions then do not hesitate to ask via comments. Using FTP , Email and cloud methods is like driving a horse carriage on a busy street full of automobiles. I recommend a file transfer software called Binfer. See http://www.binfer.com/solutions/domains/file-transfers-for-personal-use. Please contact me via email. Details given below.